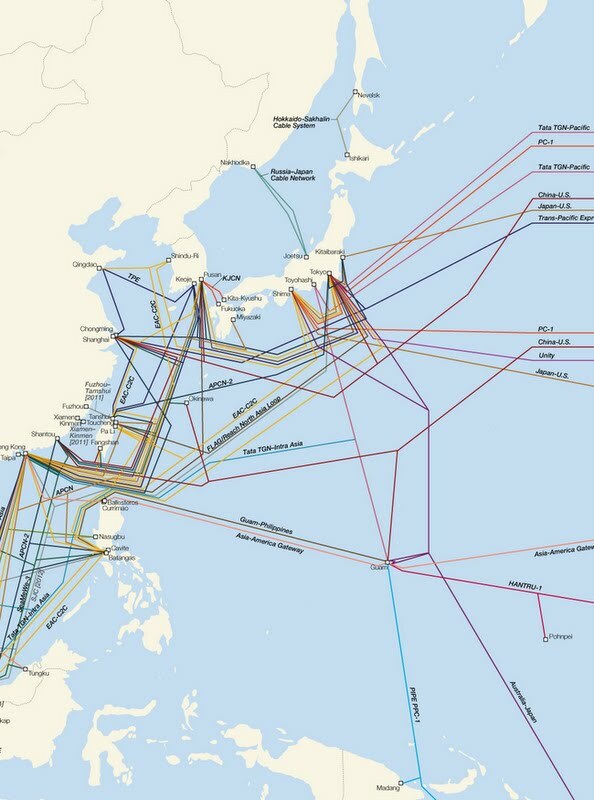 Japan is a hub for trans-Pacific undersea cables that provide Internet access between many regions of the world. About 20 submarine cables land in Japan, giving Friday’s 8.9-magnitude earthquake the potential to disrupt communications around the globe. Luckily, so far, reports of cable damage have been low, according to TeleGeography. It’s not clear how much damage there has been to undersea cables, but thus far, there haven’t been any reports of major disruptions. There’s one report of 2 or 3 cables being damaged, but the report is riddled with errors (calls them undersea power cables, and says it will disrupt phone calls to China), so I’m discounting it, for now. The most concrete report I have is from Chunghwa Communications of Taiwan, which reports that the earthquake damaged the APCN-2 intra-Asian cable, but that communications have not been disrupted. It’s not clear from their statement if the APCN-2 cable is still carrying traffic, or if APCN-2 is down and Chunghwa is rerouting traffic over alternate cables. I suspect it’s the latter. This is no small mercy, given how important communications are in the aftermath of a disaster of this nature. Texts, tweets, web services, such as the recent Google’s People Finder registry, all rely on Internet connectivity provided through those cables. Below is a map of the undersea cables that land in Japan provided by TeleGeography, and we’ll update the story if we get more details. My Malaysia office ISP is using one of the sub cable at that area, and already been majorly affected by the earthquake and tsunami and has been service down since Friday evening 5pm+. So in fact, may be lots of Asia Pacific Internet connection already been affected, just no one doing the follow up investigation at the moment. ISP will normally route the traffic to other route they have, but with a slower bandwidth. I second Maria’s comment. Internet speed in HK is getting worse. Now, I’m lucky to get any bandwidth at all. Several people in addition to myself have noted that Internet access has been very slow in Hong Kong since yesterday afternoon. It’s still quite slow here today (Saturday evening). While the Internet is not completely down, it is noticeably slower (100M broadband connection is now about the speed of a fast dial-up) than usual. Not sure if this is due to increased demand (everyone using email, FB, etc to communicate in the aftermath of the quake) or due to damaged cables.